Our 5×7 Pro Ground Ball Special screen allows for more ground balls up the middle! This is our most popular screen and is a favorite among coaches. 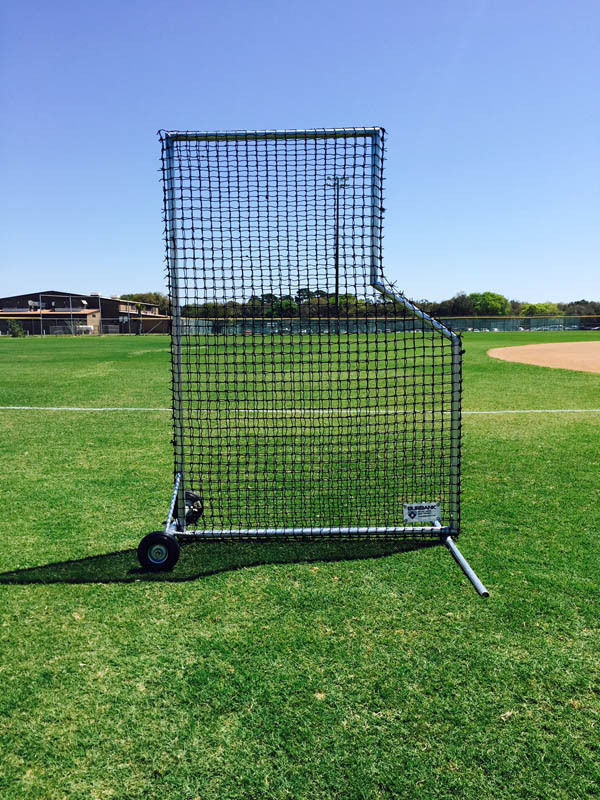 Our 5 X 7 Pro Ground Ball Special Screen is our best seller! It is a favorite among coaches. It allows more ground balls up the middle! Pro wheels allow easy maneuverability on and off the field. It is available with different netting options along with all welded aluminum or galvanized steel construction. All Burbank frames are made here in the USA at our facility by an experienced welder.